Richard St John Harris was one of the great Irish actors, who like several of his hard partying brethren, was famous for his drinking as well as his singing. Best known for his portrayal of King Arthur in the film and stage production of Camelot in the late 60's, he also played Dumbledore in the first two films in the Harry Potter series. 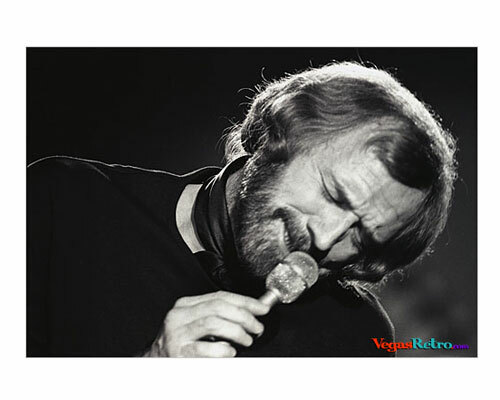 This photo was taken during his performance of MacArthur park during a television taping at Caesars Palace in 1972.